Coneys and Kale has returned from a brief hiatus in order to bring you the most enticing, unique, recipe you’ve probably seen lately. 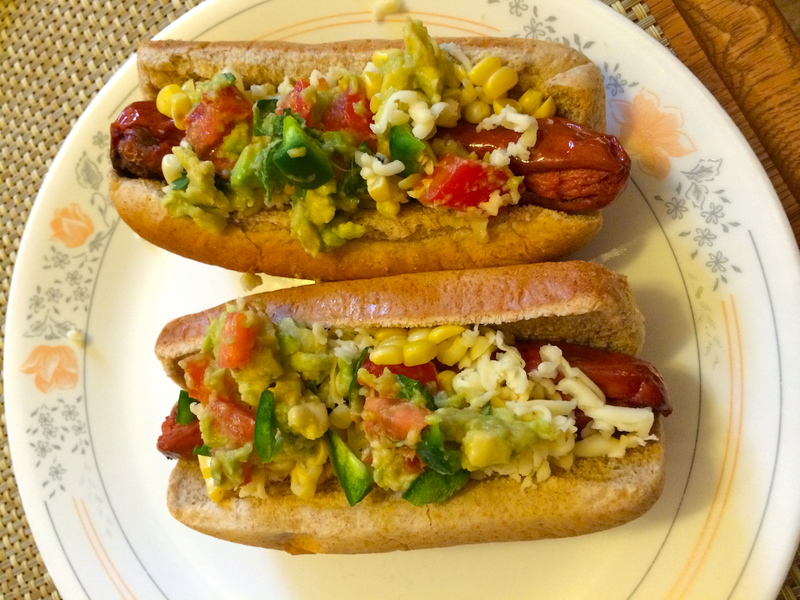 It begins with a simple hot dog inside a bun, and ends with an explosion of flavor and a satisfied belly! This recipe came about after I experienced something truly remarkable: An AWESOME veggie dog at Imperial in Ferndale. Never have I ever had a vegetarian hot dog that I really enjoyed. But seriously, this dog was to die for, in my opinion. So, naturally, I wanted it again. Pepper jack cheese, grated (you can never have too much cheese, right)? 1. Preheat your grill. 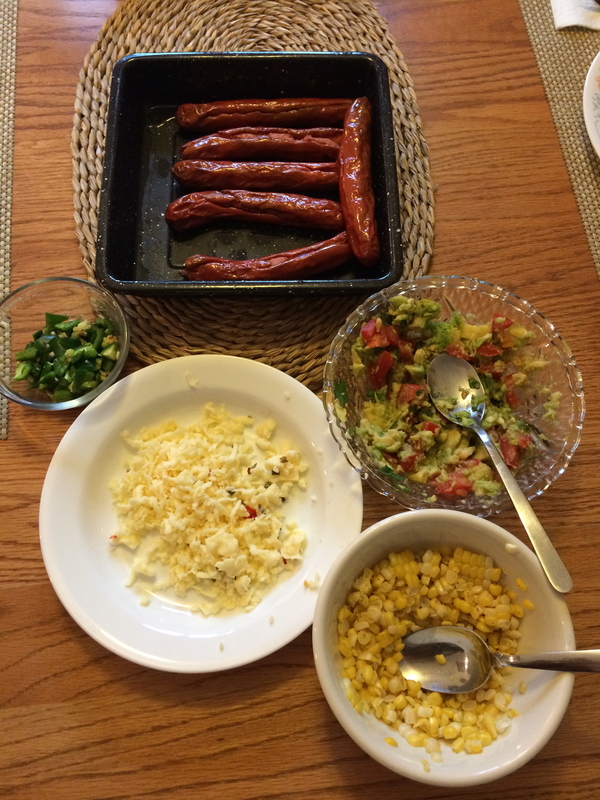 While the grill is heating, remove silk and husk from corn. 2. Wrap corn in tinfoil and place on the grill for 15 to 20 minutes, turning occasionally until tender. 4. In a medium-sized bowl, mix together avocado, tomato, cilantro, and lemon or lime juice. Add other seasonings if you desire. 5. Heat grill, and cook your dawgs until desired level of done-ness. 6. 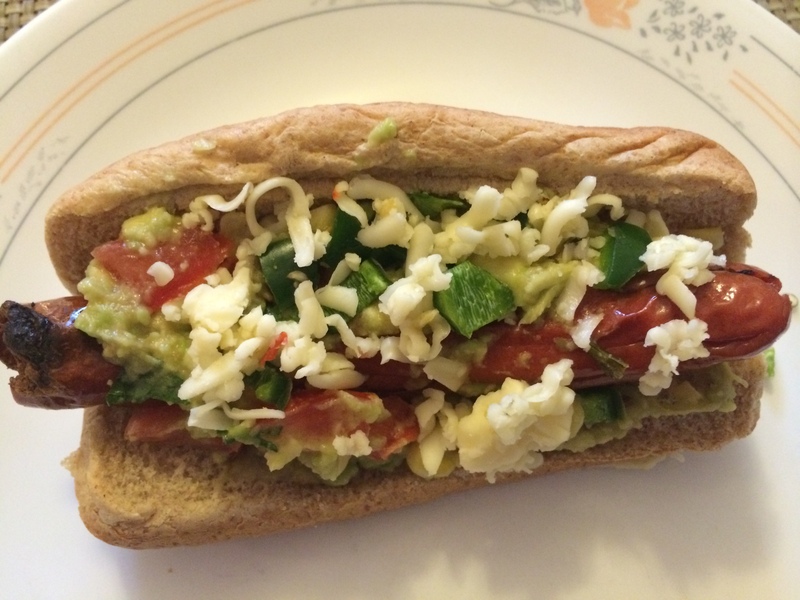 Place veggies, cheese, and desired condiments in bun with your dawg, and chow down! Coneys and Kale wants to know what the best restaurant recipe you have attempted to replicate! Leave a comment or head to my Facebook, Twitter, or Instagram pages!